The Government of Grenada in collaboration with the UNDP, will hold a national consultation on the “Grenada MDGs Acceleration Plan (MAP)” on Thursday January 31, 2013 at the Grenada National Stadium (Player’s Conference Room, level 1) from 9:00. 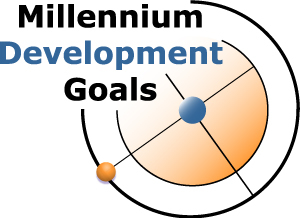 The primary objective of the national consultation is to gain consensus on the priority interventions and proposed solutions for accelerating progress towards Millennium Development Goal (MDG) achievement in Grenada. The Consultation will also be specifically geared towards getting feedback on the draft MDGs Action Plan (MAP) and provide the opportunity for discussing the way forward in terms of implementation. The Grenada MAP is crucial for national development and is a key component of the MDG Acceleration Framework (MAF) which was developed by the United Nations Development Programme (UNDP), as a solution to the problem of uneven rate of progress of goals within and amongst countries. The MAF is aimed at helping countries to systematically pinpoint bottlenecks in the MDG progress and identify possible high-impact solutions to treat bottlenecks. It culminates with a plan of action for achieving the MDGs identified as priorities by individual countries.